We set up an email account for your business using Gmail for Business. 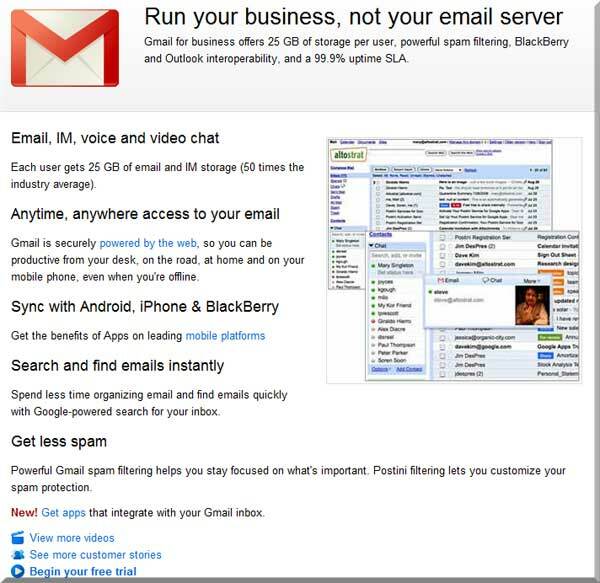 The Gmail business account gives you up to 50 email addresses and other google account features like calendars, contacts, Google documents & spreadsheets and much more. A business email is a must have for any serious business! Your email addresses will be in the format of yourname@yourdomainname.com. Benefits: A state of the art email system with all the features needed to operate your business.